Drive a single seat racing car at Pembrey circuit and feel like one of the F1 pack in one of our fleet of racing cars. You'll also get to drive an MINI COOPER S car as part of this experience. Want to feel like Lewis Hamilton and experience real downforce? 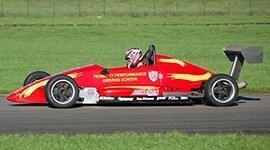 now you can on the best race circuit in Wales. You don't so much sit in a Racing car as get physically attached to the car. Tightly strapped into the cockpit, you become part of it. 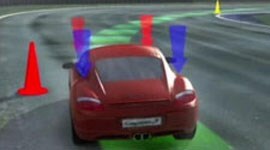 Every bump, camber and vibration is transmitted through the driver - you know and feel exactly what is happening. Racing tyres and wings give razor sharp responses - try to relax behind the wheel, even the slightest driver input is a noticeable direction change. 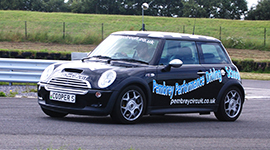 Before the racing car there's time to get to grips with the race circuit in a fantastic performance MINI COOPER S car which give great driver feedback - accurate and responsive steering and great handling balance.